Lets Identify few tests for implementing the Refactoring concept. I feel http://book.theautomatedtester.co.uk/ is the best website which lets us identify the few real time test scenarios which we need for implementing the Refactoring concept. Now we've identified all the tests for writing the Selenium Automation Code. 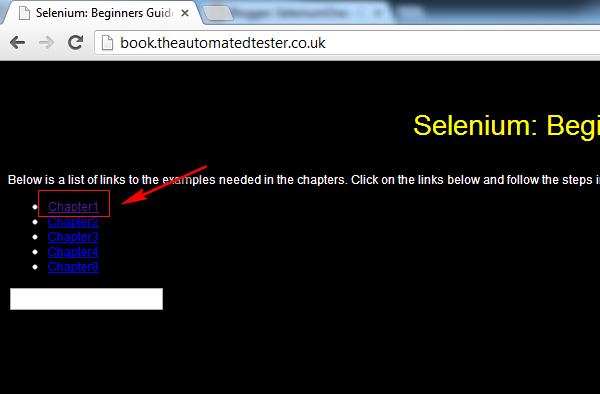 In the next post, lets write Selenium Automation Code for all the above tests without Refactoring the code. Non-Refactored Selenium Automation Code for the Identified tests will be explained in the next post.